Jo Wilding is a practising barrister at Garden Court Chambers in London, specialising in immigration, asylum and unlawful detention including appeals, judicial review and claims for damages for false imprisonment. Jo is working on a PhD on "The Business of Justice", looking at the prohibitive cost of legal representation, the impact of legal aid cuts on individuals, firms and courts and the overall effect of these on access to justice and, in turn, the rule of law. Her previous research, as a research fellow at Brighton, investigated the situation of unaccompanied children seeking asylum and the extent to which their rights under the UN Convention on the Rights of the Child are implemented by the UK government. This is part of the EU-funded "In Whose Best Interests?" project, which is led by the University of Primorska in Slovenia and also involves Austrian and French teams. Jo conducted the UK part of the research under the supervision of Professor Marie-Benedicte Dembour. 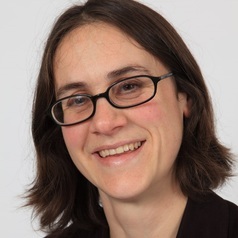 She is an Associate Member of Migration Work CIC and was most recently the legal expert on the Quality of Asylum Legal Advice research project, jointly commissioned by the Solicitors Regulation Authority, Legal Ombudsman and Unbound Philanthropy.